Ayurveda has been a big hit in Russian capital Moscow, with many women who were looking at alternate health care practices asking about it during the country’s largest tourism fair. The public and industry representatives streamed into the Kerala Tourism stall during the four-day 22nd Moscow International Travel and Tourism Exhibition (MITT) that ended on Saturday. The theme of Kerala Tourism’s stall was ayurveda and the state’s sun-and-sand destinations.A major part of the enquiries on ayurveda came from Russian women, who were looking at alternate health care practices. “Kerala Tourism’s participation in MITT has helped our trade partners build strong relations with the travel and tourism industry of Russia,” said Kerala Tourism Minister A.P. Anilkumar. MITT, the largest tourism fair in Russia, attracts tens of thousands of visitors every year, nearly three-fourth of them from the travel industry. Over 2,000 exhibitors from 203 countries are taking part in the four-day event. India’s Ambassador to Russia P.S. Raghavan said ayurveda was becoming increasingly popular in key markets like Moscow, St. Petersburg and Yekaterinburg (the fourth largest city in Russia), especially among health-conscious women. “Kerala’s efforts to promote tourism in the Russian market has the full support of our embassy,” said Raghavan. 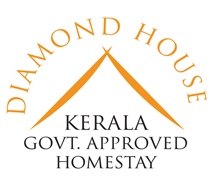 Kerala Tourism director P.I. Sheik Pareeth said the “evolving” Russian travellers were “looking at more than beach holidays”.